On behalf of Interfaith, I want to wish you and your family a joyous holiday season! The end of the year is a time when special people like you reach out with kindness and generosity in hopes that those less fortunate will share in the joy and comfort of the season. We are inspired and honored by your enduring compassion, which allows us to continue to Help People Help Themselves every single day. With your help, our efforts to serve the most vulnerable in our community continue all the year through. 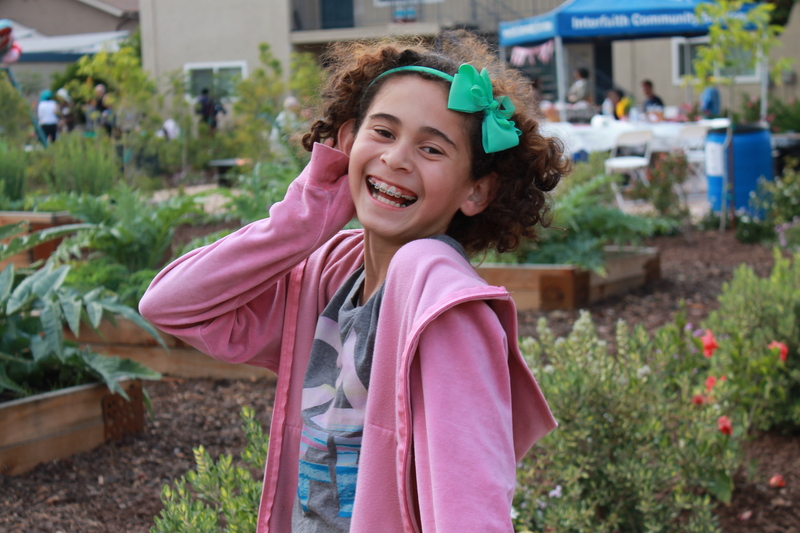 You are the reason ten-year-old Cristina is celebrating this holiday season in her first home. After losing her job and then her apartment, Cristina’s mom, Carmen, would pick her daughter up from school not knowing where they would sleep that night. After spending years on housing waiting lists and watching her daughter grow up without a place to do her homework or have sleepovers with friends, Carmen received a call from Interfaith. The very next day, Carmen got to tell her daughter they now had their own home. You are that somebody, and by giving a gift today, you can continue to give children and families a chance to succeed. We cannot do our important work without your help, so please consider Interfaith in your decisions about charitable giving this Giving Tuesday. If you have already made a year-end donation, please consider this an extra thank you! P.S. Click here to see a drawing of what Cristina envisions her first holiday in her new home will look like!